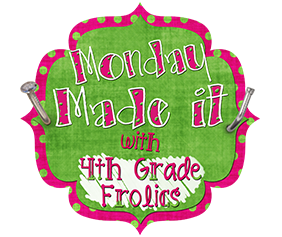 I'm FINALLY linking up with Tara at 4th Grade Frolics for Monday Made It! Birthday Balloons! 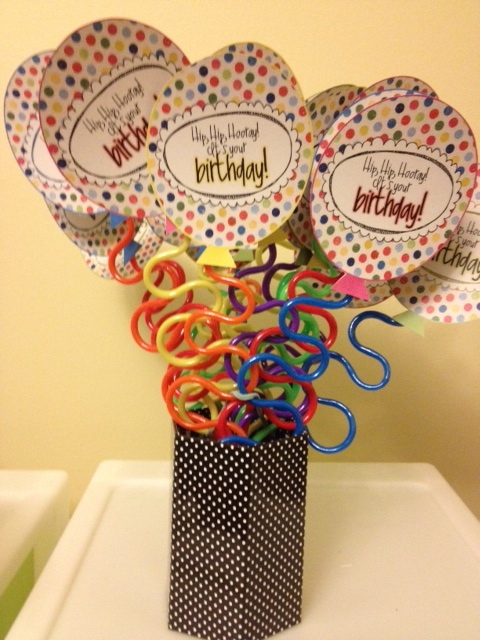 The crazy straws came from the dollar store, the polka dot canister from the dollar spot at Target, and the balloon template from Mrs. H here. 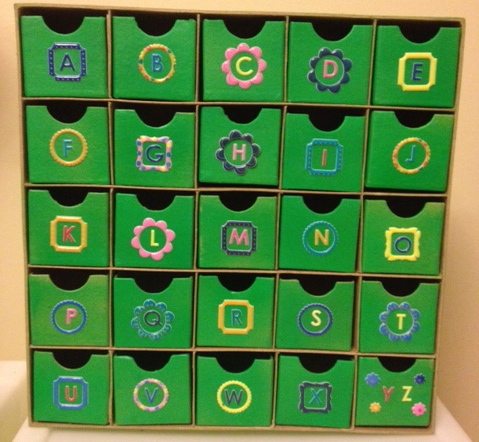 Here is my new alphabet organizer! 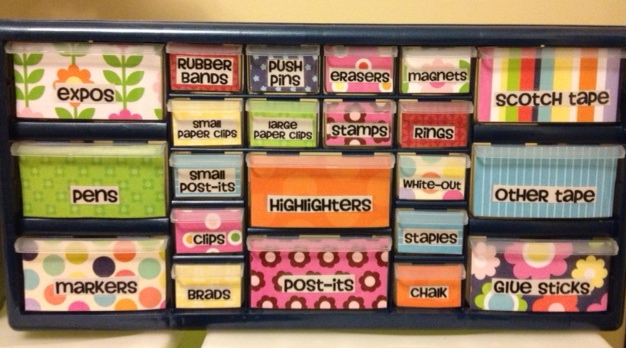 I think I'm going to use this for organizing magnetic letters. 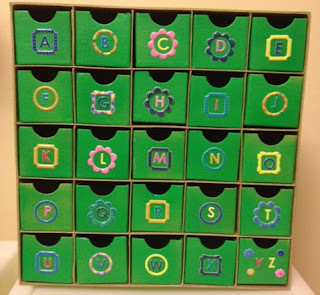 The box came from Hobby Lobby (advent calendar) and the letters are scrapbook letters. Mine doesn't look quite as nice as Nicole's....but it will do. Check hers out here. I just love my retelling rope! The pieces came from JoAnn's and Michaels. 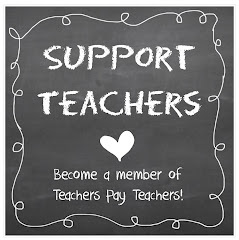 This idea came from Kelli at Castles and Crayons and April at Chalk Talk. Last share for today. I know you've seen this one! It's been floating all over Pinterest for months. :) I've had my toolbox sitting in the corner of the dining room and it was definitely time to pull off the plastic and get to labeling. 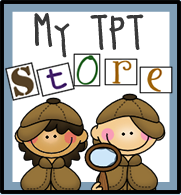 I used scrapbook paper and labels from Create*Teach*Share. I'll plan to link up next week too so I can share more pictures of recently completed projects! Wow! I love it all:) Great job with everything! You've really been busy! Everything looks great! I love your balloons! I just bought the straws today to make those. I also love the retelling rope! It is adorable! Every time I see that toolbox that everyone's making, I feel the strong urge to jump on that bandwagon!! Yours turned out extra cute! I love your retelling rope. How do you plan on using it, if you don't mind? Great job! Just bought my toolbox and paper. I'm ready to get started making mine. I will post pics later when it's finished. Everything looks wonderful! I love the birthday balloons. I saw that design on Pinterest and it was love at first sight. Where in the heck are you moving? When did you find this out? I'm sorry you are having that pleasure before school starts.....anyway, your projects all look great! You've been a super busy gal this summer! I love all of your projects!!! I'm so impressed by how much you accomplished this week! Glad you did the teacher box! It came our really cute. Love your projects. The retelling rope was one of my projects last week. Every time I see one of the tool boxes I want to make one but I'm just not sure. Yours looks great! :) I love your toolbox, too!! Oh my gosh I LOVE LOVE LOVE the retelling rope!! I so want to make one of those!!!! It is all I can do to keep from going to JoAnne's right now! What did you use for the "rope"?? 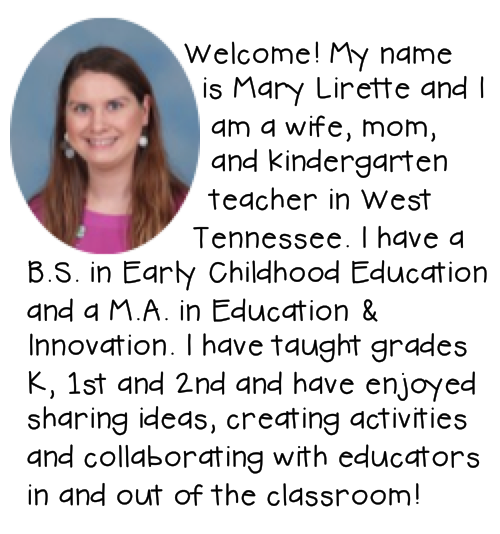 What a busy teacher you have been! I love the birthday balloons & the retelling rope - I'm headed to Hobby Lobby to look for fabric for classroom curtains & will look for items to make that retelling rope! 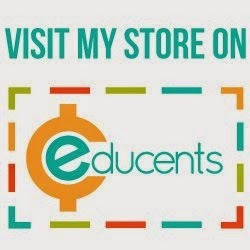 I'm new to blogging & hope to share a lot of k ideas. Just found your blog! I love the story rope! So cute! Everything looks great! 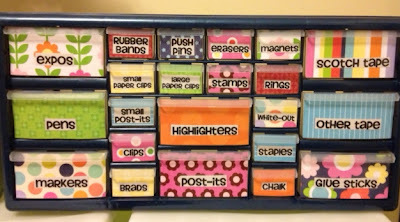 I especially love your alphabet organizer! Hello!! I have nominated you for an award. 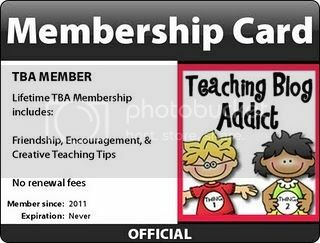 Come over to my blog and check it out at Teaching Through Turbulence. Congrats!